At this year's TechCrunch Disrupt, Carol Bartz CEO of YAHOO, was one of the few women belonging to the exclusive executive C membership, (as the majority of tech companies are mainly run by men--women make up only 6% of the top 100), stepped into the spot light to try to talk about the evolution of Yahoo. Instead, Bartz was left attempting to dodge bullets, as some might feel when talking to Michael Arrinton Co-Founder and Editor at TechCrunch, until the unsuspected happened-- a counterattack. 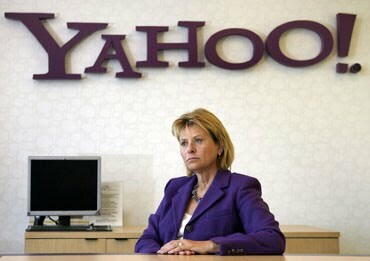 In this exhilarating interview, Arrington tried to settle ties with Bartz about a comment she made a while back, asking bloggers to delay from commenting on her recent major role at YAHOO--undertaking the Chief Officer title; that is until she had enough time to prove her value at the major tech company. Arrington however, who specifically hand picked a statement Bartz made about Google a few years ago, but having only diagonally read one of the statements she'd made without context, paid the price. Have a watch till the very end, and there will be no regrets. The woman has a point. We here at the NewsGallery commend Bartz for standing up for herself and setting the story straight--someone finally had to put the TechCrunch editor in his place after a very long history of provocations with many others under his belt.